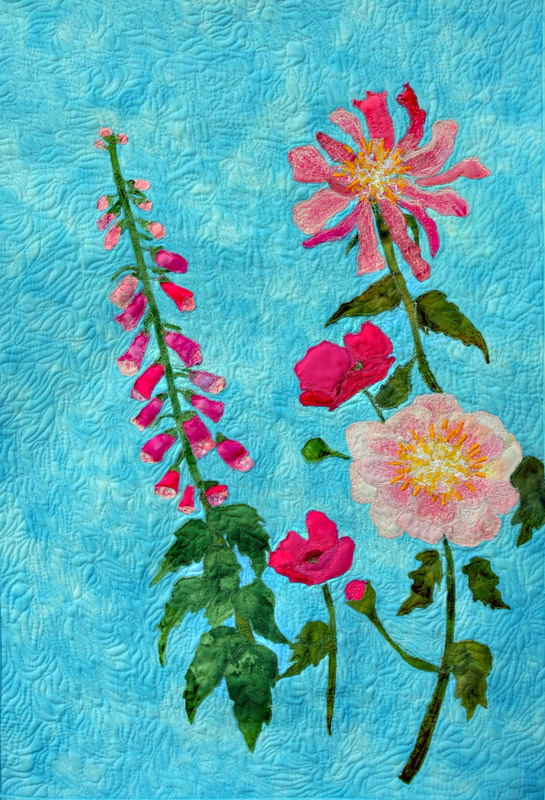 Here’s the finished art quilt. I quilted it with MonoPoly clear thread because I wanted the texture but not added competing color. 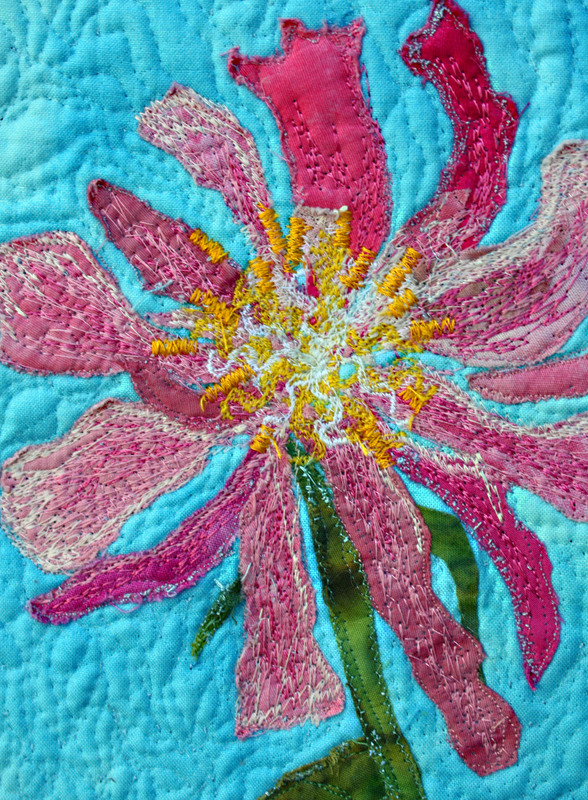 Categories: Abstract and Geometric quilts, Blog posts, In Progress, Nature Gallery, Nature Quilts, Older Posts-, Silk Paintings, Stylized Flowers Art Quilts, Uncategorized., What"s New?